The University of Western Australia has responded to community concerns about the Australian Family Association hosting a talk from a US doctor who heads a well known anti-LGBTI group. The Australian Family Association is currently hosting a tour of Dr Quentin Van Meter and he is scheduled to give a talk at the University of Western Australia of Friday evening. Dr Van Meter argues that transgender people should be counselled to live in their lives as their birth gender saying they are delusional people with a mental illness. The presentation he is scheduled to give at the University of Western Australia it titled The Transgender Movement: Its origins and how social theory is trumping science. “The University acknowledges the deeply held concerns of those who do not want this event to proceed. Plainly it does not endorse the opinions of the speakers on any of the matters on which they are likely to speak.” a spokesperson for the university said. The University said they only became aware that the room booking made by a member of the University’s alumni was for a talk by the controversial speaker on Monday morning. The University highlighted it’s strong record in supporting LGBTIQA+ people over many decades. “The views which have been expressed by the speakers in the past, particularly with respect to transgender people, are at odds with the University’s values of respect for human dignity and diversity. 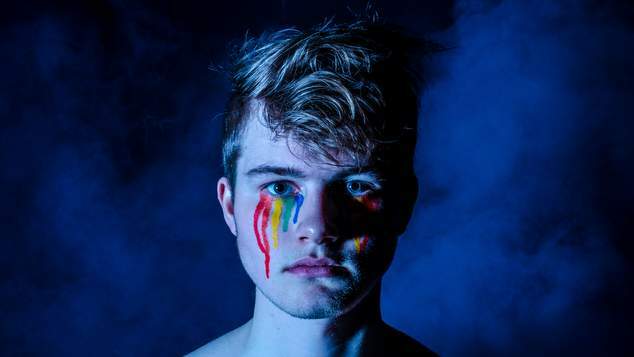 That respect, in relation to LGBTIQA+ people generally, has been evidenced by the Rainbow Flag which has flown for some months at the front of the UWA campus.” the spokesperson said. UWA said it did not agree with the statements of the speakers but was reluctant to create a precedent by denying them access to facilities. “The freedom of expression of the Australian Family Association’s invited speakers did not oblige the University to provide them with a facility within which they could express their opinions. Nevertheless, the venue was booked through the University by an alumnus of the University. A denial of access to the facility would be based on the opinions of these speakers and the impact of the expression of those opinions on members of the University community. The question for the University is whether it should deny access. “The University considers that cancellation of the Australian Family Association event would create an undesirable precedent for the exclusion of objectionable views from the campus. It would also give rise to arguments that the values we hold are supported by intolerant and repressive policies against those who do not share those values.” the spokesperson said. OUTinPerth understand that an email with similar wording was sent to all staff and students today by Vice Chancellor Professor Dawn Freshwater and Chancellor Robert French . The email referenced articles 1 and 19 of the International Declaration on Human Rights, as support for the university’s stance. A petition opposing the talk has attracted over 4,800 signatures since being launched on Sunday.